Advanced Multiplayer Sleeping Data Pack helps you fix some problems in many Minecraft servers: night pass. Someone at the moment is AFK, and another needs a day, but he can not miss the night, maybe someone is living in a different time zone, but it’s necessary that all online players sleep. Familiar isn’t it? Well, consider this problem already solved! 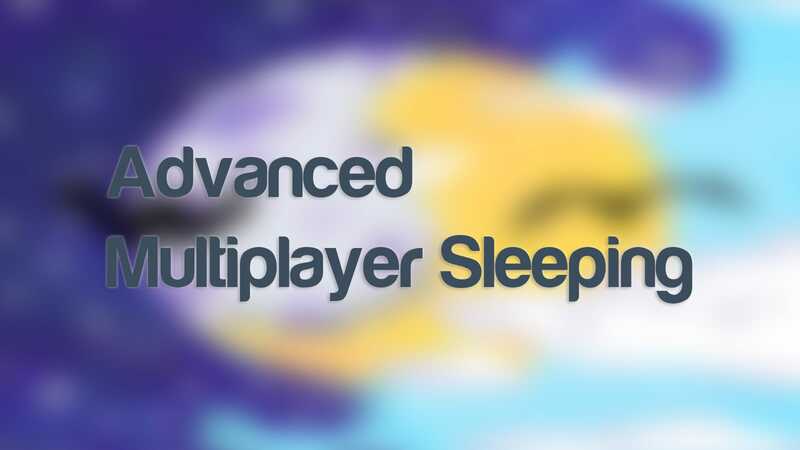 Welcome to Advanced Multiplayer Sleeping Data Pack! This data pack will add to the game the ability to skip the night if there is only 1 player sleeping at the moment, or if approximately 50% of player in the server are online (this can be edited in the configuration of a data pack), as well as the ability to distinguish players from AFK players.